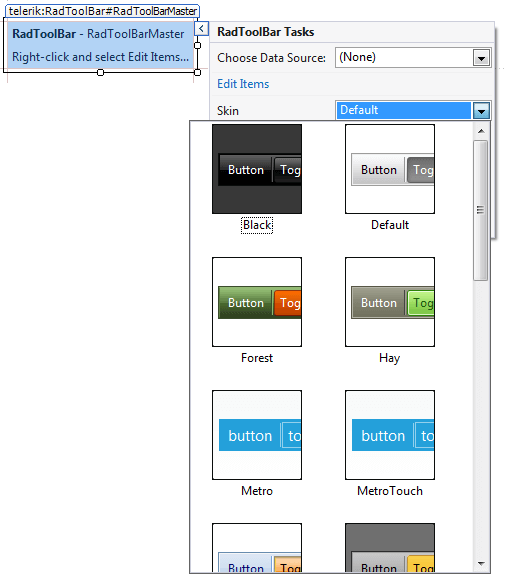 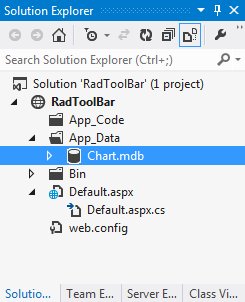 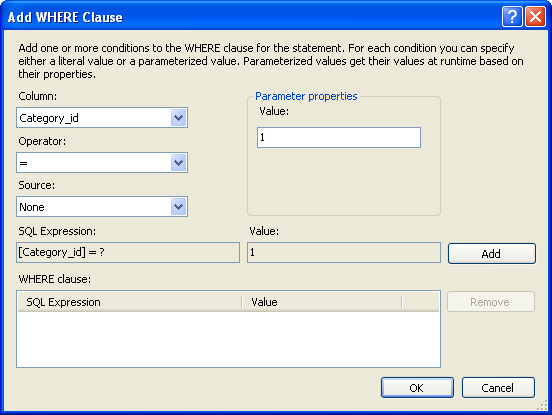 Click the Add button to add the WHERE clause, and then click OK.
Back in the Configure The Select Statement page, click Next to accept the select statement. 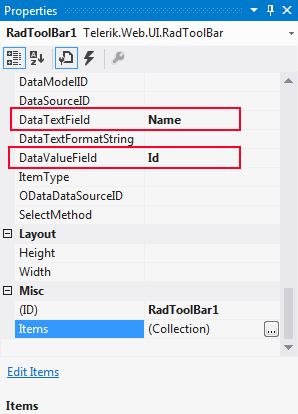 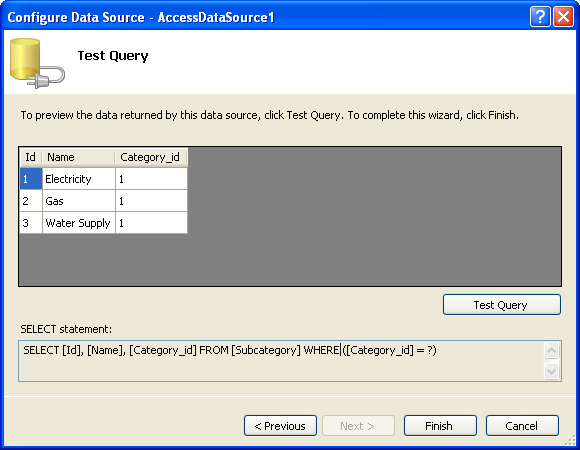 Set the DataTextField property to "Name". 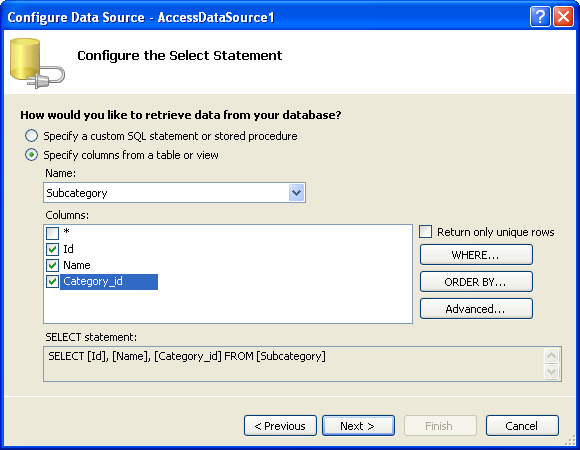 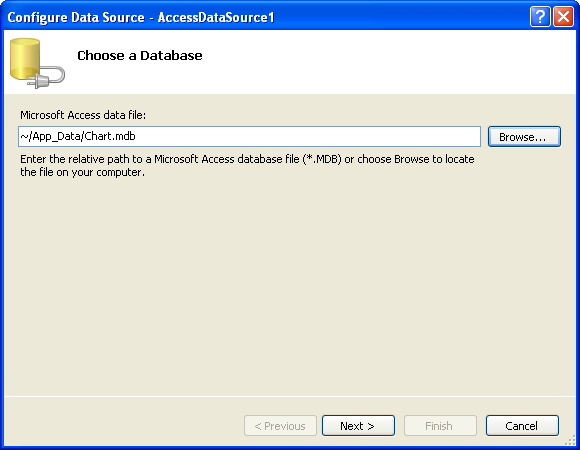 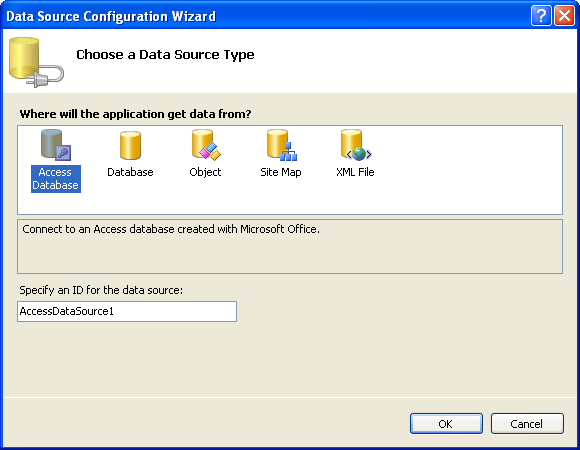 Set the DataValueField property to "Id".